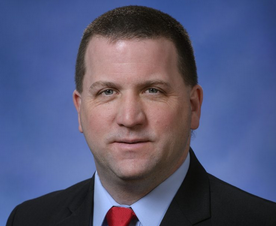 Current representative: The current representative for the 33rd District is Rep. Jeff Yaroch (R-Richmond). The district includes Armada, Lenox, Ray and Richmond townships, as well as parts of Macomb Twp., the city of Memphis and the city of Richmond, according to the House Republicans. Yaroch was first elected to the Michigan House in 2016, taking office in 2017. According to his official House website, he previously served as a firefighter/paramedic for 25 years with the Clinton Township Fire Department. A map of the 33rd District is available here. Rep. Yaroch raises money through a candidate committee, CTE Jeff Yaroch for State Rep.